Latvia is the only team in the Eurobasket 2015 2nd qualifying round that has played in all four days and has come out with as many wins. Only Italy and Bosnia and Herzegovina can lay claim to being undefeated as well, but both countries are in three-team groups and have only played twice putting them at 2-0, versus Latvia’s 4-0. Meanwhile, the other four-team groups have two teams that share 3-1 records and are in tighter races so far. Iceland edged out the men from the United Kingdom 71-69, holding them to a winless 0-3 record. Iceland is now 2-1 and trailing Bosnia (2-0), which is slated to face the U.K. on Day 5. The United Kingdom was ahead by 10 at the end of the first half, but a massive 28-16 third quarter from the Icelandic squad wrenched the lead from their clutches. Both teams scored 15-15 in the final period and Iceland was able to hold on to their slight advantage. Iceland’s Jon Steffanson caught fire from downtown (4-9) and responsible for anchoring his team’s surge in the third frame. Israel crushed Montenegro 80-65 on the heels of Gal Mekel’s impressive triple-double performance. He scored 14 points, grabbed 11 rebounds and handed out 11 assists. His teammate Omri Casspi had another solid offensive performance, leading his team in scoring with 17 points. He also took down eight rebounds for the game. Montenegro could not find an answer for Israel’s offense. 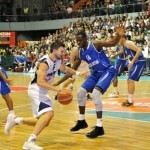 Israel got into their groove in the second quarter after a 20-20 first-quarter gridlock. They established a five-point lead at the half and did not look back from there after the break, to cruise to victory. Israel is now in second place in the group with a 3-1 record. The Dutch have so far had a good start in these second qualifying rounds. They are now 3-1 and sit atop of the group standings after defeating Bulgaria 66-57. Bulgaria is in a deep 0-4 hole and are in trouble. Roeland Schaftenaar led the Netherlands to victory with 17 points and seven rebounds. He triggered a 9-0 run in the third period, allowing his team to pull away for good. Poland was able to come away with the upset win over Germany 88-76 and are now tied with Austria for the top spot of the group with identical 3-1 records. Poland got off to a roaring start in this encounter and finished the first quarter up 26-15. The Germans, undaunted, fought back and cut the lead to just to two points, heading into the halftime break. The third quarter was the decisive frame as Poland stormed out of the break with 23-12. From there, they held off the home team in the final period for the win. Mateusz Pontika was Poland’s top scorer with 19 points off the bench. Luxembourg now sits at the bottom of the group standings with a 0-4 record, after their disappointing loss to Austria, 71-80. Austria turned up their defensive pressure in the second half of the game and outgunned Luxembourg to finish strong. 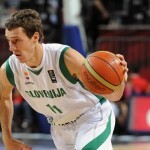 Rasid Mahalbasic led Austria with a double-double performance, scoring 19 points while grabbing 12 boards. Belgium upset the squad from F.Y.R. Macedonia 63-60 and forced a deadlock for first place with them as both teams now have 3-1 records. The close game indicates that there could be a brewing group rivalry here. Ball distribution was one of the key factors in Belgium’s win. They had 14 assists to F.Y.R. Macedonia’s nine. Belgium’s strong second-quarter play allowed them a comfortable 10-point buffer at the half. Solid defense on their part stifled Macedonia’s attempt at a comeback late in the game. Belarus sent Denmark tumbling to the Group’s cellar with a 73-66 win over the still win-less Danes. Vitaly Liutych’s 21 points to lead three other teammates in double figures was just too much for Denmark to handle. Denmark’s Esben Reinholt put up a good effort with 17 points, but it was unfortunately not enough to pull out the win. An up-tempo offense did the trick for the Czech Republic (3-1) as they seized the group’s pole position via a convincing 86-67 win over Georgia. This is Georgia’s second loss and are now 2-2. Tornike Shengalia and Viktor Sanikidze each put up 17 points on the board for Georgia, but it was not enough to quell the Czechs’ 28-17 explosive flurry in the fourth period. A balanced offensive effort from the Czech Republic squad paved the way for five of their players to score in double figures, led by Tomas Satoransky who ended the game with 16 points. Portugal struggled once again on Day 4, this time in a 52-65 loss to Hungary. Portugal is still winless in four games. Hungary crushed them in the second half of the game, outscoring them 35-20. Arnette Hallman’s 15 points was the lone bright spot for Portugal as his other teammates struggled to get into any kind of offensive rhythm. Meanwhile, Hungary’s Kriztian Wittmann and Akos Keller scored 16 and 14 points respectively. Latvia came away with an exciting 79-76 win over Sweden in overtime to clinch the solo lead of the group with a 4-0 record. Sweden is now 1-3 and needs to pull out some wins in order to Romania which is now in second place with a 3-1 slate. Kaspar Berzins’ late-game heroics, an offensive rebound and a desperation shot with one second left, forced the extra quarter. He came up huge for his team with 23 points and 10 rebounds. Sweden’s champion was Joakim Kjellbom who finished the night with his own double-double, scoring 19 points while grabbing 13 boards. The extra time was all Latvia needed to outscore the Swedes 14-11 and grab the W.
Romania came away with a key win on the road against Slovakia, 90-86. It was not an easy task for the visitors as the Slovakian squad came out wanting to notch their first win of the competition. 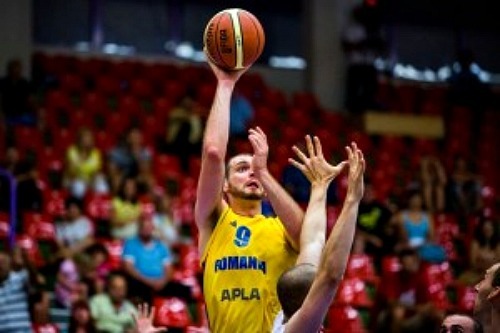 Romania’s Adrian Gutoaia and Mihai Silvasan led the charge for the team, scoring 20 points each. Their combined 40-point output was just enough to stave off Slovakia via a key 9-0 run with less than five minutes left in regulation. Russia smothered Switzerland 101-56 to land their first win. Both teams are now 1-2, trailing Italy and their pristine 2-0 record. It was an easy win as the Russian team got off to a strong 30-20 advantage at the end of the first period and did not look back. Six players managed to score in double figures as they distributed the ball well. Marko Mladjan had 16 points and seven rebounds for Switzerland, but it was not enough to lift his team in their game-long uphill battle.